GAROWE, Somalia July 30, 2014 (Garowe Online)- Radio Garowe, a community and an independent station based in Somalia's northern state of Puntland has hosted educational contest finals for two neighborhoods in the state capital of Garowe on Wednesday, Garowe Online reports. 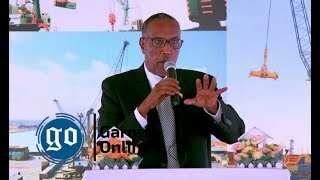 In attendance were Puntland Information Minister Abdiweli Hirsi Abdulle (Indho Guran), Deputy Minister of Education Dr.Mohamed Ali Farah, parliamentarians, prominent clan elder, Garad Abdullahi Ali Eid, over hundred fans and competitors. 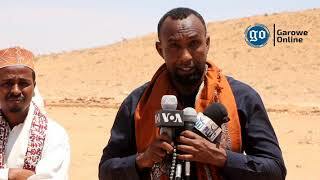 Fadumo Mohamed Mohamud, Radio Garowe journalist who moderated the two-hour long program for the station which broadcasts daily on FM stations in the capital, Garowe, port city of Bossaso and Eyl coastal town announced key speakers by name, with Islamic scholar officiating the event after religious sermons. Educational contest committee members asked seven questions Hodon and Hantiwadag competitors each on air in the capital's eminently listenable program. After tough challenge that dragged on for nearly an hour, contestation committee spokesman announced the result, saying Hantiwadaag gained the first-place award while Hodon clinched the second status. 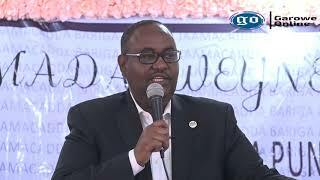 Speaking at the ceremony at Rugsan Square hotel in Garowe, Minister of Information Indho Guran commended Radio Garowe team for holding crucial radio programs for the public and stressed the need for more. "The historical background of Somalis and geographical features as well as culture should be lavishly included in such radio programs. 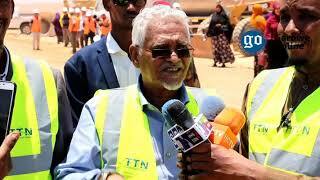 I really appreciate how you have coordinated this competition which brought together youths," said Indho Guran. At the end of the event, government officials handed out hefty prizes and certificate of Excellencies to the winners and key players of the educational contest. 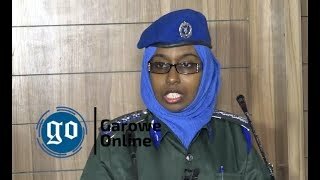 Garowe Online is the sister publication of Radio Garowe which since the year, 2009 has been hosting the contest for Garowe's eight neighborhoods.